Fat indigestion, how to know when you’re not digesting fats and eating keto (high-fat, low-carb) without a gallbladder. 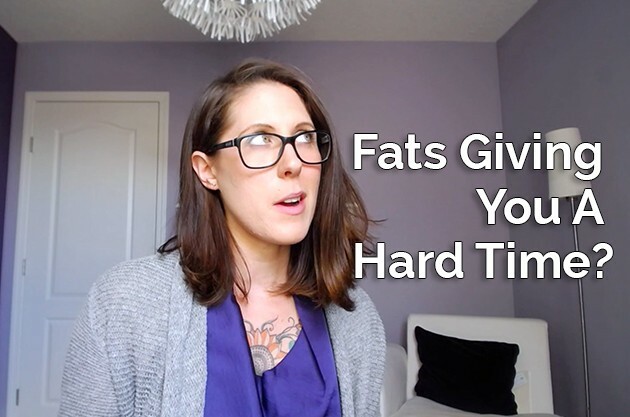 If you don’t have a gallbladder, or you have one and you experience weird symptoms after you’ve had a healthful, fatty meal, keto, today’s keto video is for you! Something I forgot to mention in the video… if you have gotten bloodwork done recently and your fat soluble vitamins are low (vitamins A and D), it could be a good indication that your body may not be breaking down fats properly. If this is you, scroll down and press play! Also, there was a little fumble in my words about 1-minute in. Your gallbladder does not CREATE bile, your liver does. The gallbladder stores bile. The liver will continue to make bile, but it has nowhere to store it. So, if you are eating meals with moderate to high amounts of fats, you are not going to have enough bile to break things down properly. 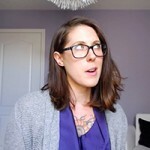 A must-watch if you’re having a hard time digesting fats or your gallbladder was removed and you’re interested in eating keto (high-fat, low-carb). 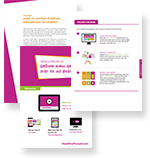 A 5 to 10 page PDF with the transcript for this video, resources, and exclusive steps to taking your fat burning to the next level. Download to your device and access anytime. Supplements: ox bile, digestive enzyme, flush-free niacin and B-complex.